I have been watching the various presidential debates and haven’t missed one for the most part. I find them to be sometimes informative and on the entertaining side although the recent democratic one was a bit tortuous in my opinion (more on that later). The democrats have only had one, but I can’t get Bernie Sanders’ voice out of my head when I watch Seinfeld reruns. He sounds exactly like the actor who plays Yankees’ owner George Steinbrenner. 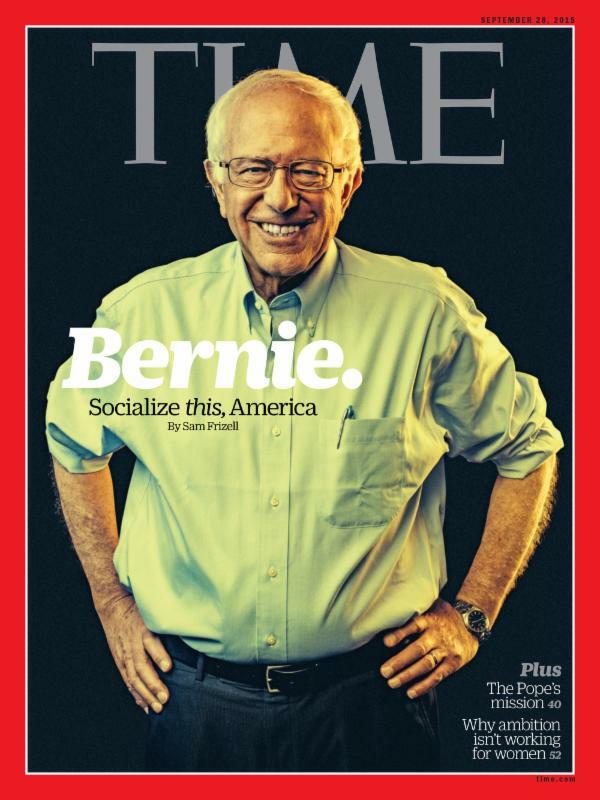 Anyway, when I saw the senator on the cover of Time in late September in a positive light, I thought it was the kiss of death for his candidacy, a view I still share today. At that time, he was riding high in the polls and neck and neck with Hillary Clinton. Sanders tee shirts and yard signs were everywhere. He was the flavor of the moment, which is why Time gave him such publicity. The problem with the Time cover is that it usually means the end of the trend is close at hand. It takes so much public awareness for a person or event to be cover worthy that by the time it hits, it usually about over. While Sanders socialistic agenda and $16 trillion government program expansion may sit well with the populists and disenchanted, the markets never gave him any credibility nor chance to beat Hillary, let alone win the general election. By the time the primaries begin, he will barely be a footnote.